Bridges serve millions of people every day. They enable people to travel to work and help them save time in their daily commute. It can be easy to overlook the amount of work that goes into constructing, maintaining, inspecting and repairing the bridges throughout Illinois. However, society should be concerned that bridges receive proper maintenance in a timely manner for numerous reasons. First, society must be concerned about the safety of the thousands of commuters traveling on Illinois bridges every day. If a bridge is not able to support massive amounts of weight, then it may collapse and cause extremely serious injuries and deaths. Dangerous disasters are likely to occur when a bridge has not received the proper maintenance. Illinois residents should also be concerned about the proper maintenance of bridges in light of a recent report published by Transportation for America. The report has indicated that one in 12 Illinois bridges is “structurally deficient.” This means that drivers and their passengers may be facing serious risks in using Illinois bridges every day. For construction workers, old bridges remain equally dangerous as they may be called upon to perform work on a structure that may not be safe to perform work or support the weight of heavy construction equipment. Illinois bridge collapse lawyers are here to investigate and research your case if you have been involved in a bridge catastrophe. We understand the shock that you likely feel after this serious accident and can help you understand your legal options. The Transportation for America report was released in June of 2013. The report based its analysis off of the U.S. Department of Transportation’s National Bridge Inventory data. From this information, Transportation for American discovered that 9 percent of Illinois’ bridges are “structurally deficient.” This means that the bridges require significant replacement, maintenance appointments or repairs. The report cited 2,311 Illinois bridges that are in need of major repairs. This figure is higher than the 2,239 bridges that were recorded in 2011. To ensure that bridges receive their needed repairs, Illinois and other states would need to acquire a minimum of $76 billion. Because it is unclear where the state could receive this extensive funding, it is likely that bridges will continue to remain in need of repair. Over 8 million commutes take place on Illinois’ bridges every day. It is important that drivers understand their legal rights in the event that they are involved in a bridge failure. There are various entities that may be liable for the injuries that an individual suffers, and these may include the Illinois Department of Transportation, municipalities, contractors, inspectors and more. States like Illinois need to recognize that it may be more costly to pay for damages resulting from a bridge catastrophe rather than performing an upfront maintenance repair. When multiple victims are harmed in a bridge failure, they may be entitled to millions of dollars in damages. A jury may have discretion as to the amount that should be awarded to plaintiffs who have been harmed in a bridge failure. When a bridge collapses, there is a high likelihood that deaths may result from the collapse. Death is one tragedy that cannot be avoided when states fail to properly maintain bridges. Family members also suffer immense pain when they lose a loved one in a bridge collapse. Family members may be able to vindicate the rights of a loved one by filing a wrongful death action if he or she has died in a bridge catastrophe. A wrongful death action may provide family members with relief in regards to funeral expenses, pain and suffering, loss of consortium and more. The Illinois personal injury attorneys at Rosenfeld Injury Lawyers LLC are honored to speak with you about your bridge collapse injury case. Whether you wish to meet in person or submit your information online, we will be sure to carefully review this information. As with all of our injury cases, we offer a free consultation for individuals who have been injured in accidents. You can be assured that your legal issues will remain confidential. 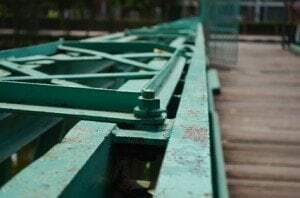 We work on bridge catastrophe and other accident cases on a contingency fee basis, so you do not have to pay a fee up front until a settlement or damages are awarded.